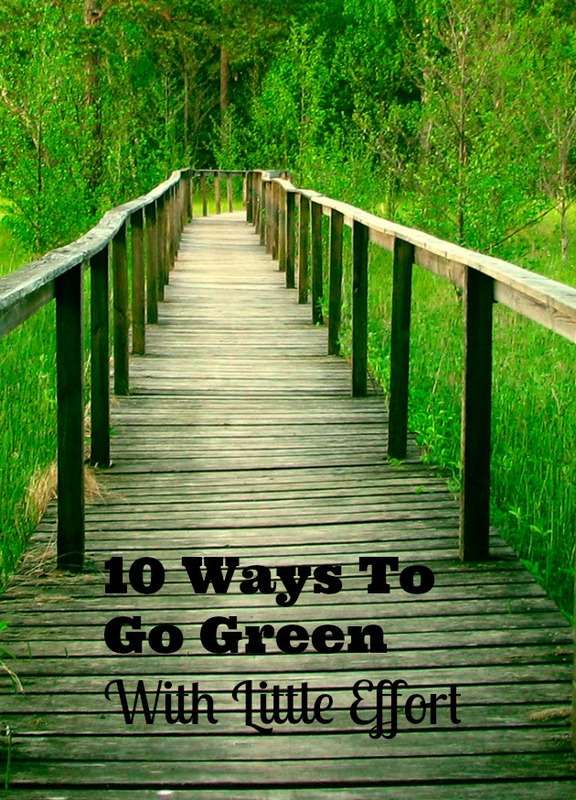 10 Ways To Go Green With Little Effort Required! You are here: Home / Green Living and Eco-Friendly Tips / 10 Ways To Go Green With Little Effort Required! Here are 10 ways to go green with little effort required. With green living in the spotlight, a lot of families have resolved to live more eco-friendly lives in the new year. This doesn’t have to be as difficult as it might sound. There are a lot of ways to be more environmentally-minded. Recycling is one of the top ways to reduce your impact on the environment. A lot of what is put into the trash can be recycled or reused. A recycling service can recycle paper, cardboard boxes, plastic bottles, food packaging, and glass. Here are 6 household items you didn’t even know you could recycle. 2. Become more energy efficient. Greater energy efficiency at home is a noble goal to strive for. Turning lights off when they aren’t needed, keeping your thermostat a little lower in winter and higher in summer, and buying more energy-efficient appliances are just a few easy ways you can change your habits. Choose eco-friendly LED light bulbs. Hand-washing dishes and hanging your clothes to dry instead of using the dryer require a little more effort, but save a lot of energy in the long run. Driving is one of the major contributors to our environmental problems. Not only are we rapidly consuming an irreplaceable resource (oil), we arealso adding to our planet’s pollution. Every small effort helps. Trade in your car or truck for a more fuel-efficient vehicle. Plan out errands so that you combine trips as much as possible. Walk, ride your bike, or use public transportation as much as possible. If you have the ability to do so, condense your work schedule into four days a week instead of five, or work from home one day a week. 4. Vote with your wallet. Don’t forget about your power as a consumer! Make it a point to support green companies and local businesses whenever possible. Food that is produced locally is greener because it doesn’t have to be shipped long distances. In addition, buying from local businesses means that your money stays in the community, strengthening your local economy instead of supporting national and international corporations. You can read more details on this at Green Consumer Choices. 5. Make use of solar power. You can also make a difference by installing solar panels and thereby relying less on coal-driven energy. While making a switch to a home solar power system may be too expensive and time consuming for most (unless you get tons of sun year round), you can still make use of solar power. There are solar powered toys and cheap, easy outdoor solar landscape lighting options. It is easy to save money while going green! SC Johnson has added a Greener Choices section to their website and I was fortunate enough get paid to write articles on how you can save money while making green eco-friendly choices. The last 5 of my 10 ways to go green refer to 5 full length articles I wrote for them. Click the links to see those articles. There are all kinds of wonderful things you can do to go green inside and out. This time of year it’s great to get outside and do your part. Here are a five Five Green Outdoor Activities to help the environment. It is a great time to get out and enjoy nature with your family! Spending time and being active outdoors as a family are wonderful ways to build family bonds and memories, as well as foster an appreciation for “Mother Earth”. Here are Green Adventures for the Entire Family. Empty glass jars can also easily be reused as food storage containers or even vases. Empty coffee cans can be cleaned and used to store flour, sugar, pasta, or even things like sewing supplies or toys. Used clothing and household items can be donated to thrift stores or given away on Craigslist or Freecycle. Shoeboxes are great because they come in handy sizes with convenient lids and they stack nicely. Once you upcycle your shoeboxes to make them pretty, they can have a variety of uses from storage to gift boxes. 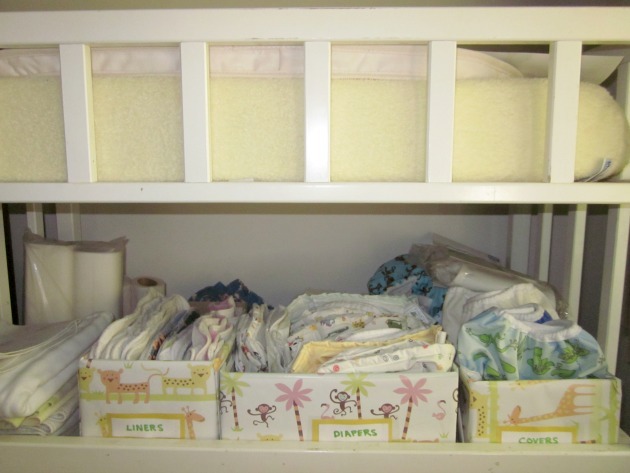 Here are some ideas to Reuse your Shoeboxes. There you have it- 10 ways to go green! There are so many ways you can reduce your carbon footprint and live greener. Simply finding a handful of small ways to change your habits can really make an impact. It all adds up, so never discount the value of doing your part for the planet! What are some of your favorite eco-friendly ways to do more with less? I’d love to hear which of these 10 ways to go green you already do and which ideas you may try to implement.